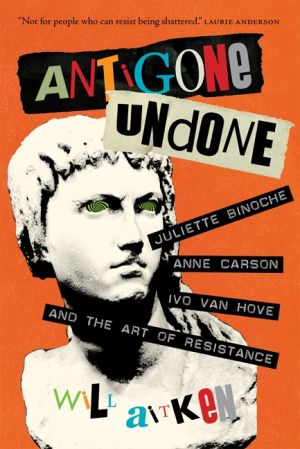 In 2015 Will Aitken journeyed to Luxembourg for the rehearsals and premiere of Anne Carson’s translation of Sophocles’ tragedy Antigone, starring Juliette Binoche and directed by Ivo van Hove. Transfixed by the strange and uncanny power of the play, he finds himself haunted by its protagonist, finally resulting in a suicidal breakdown. With a backstage view of the action, Aitken offers a rare glimpse into collaborative genius in action.